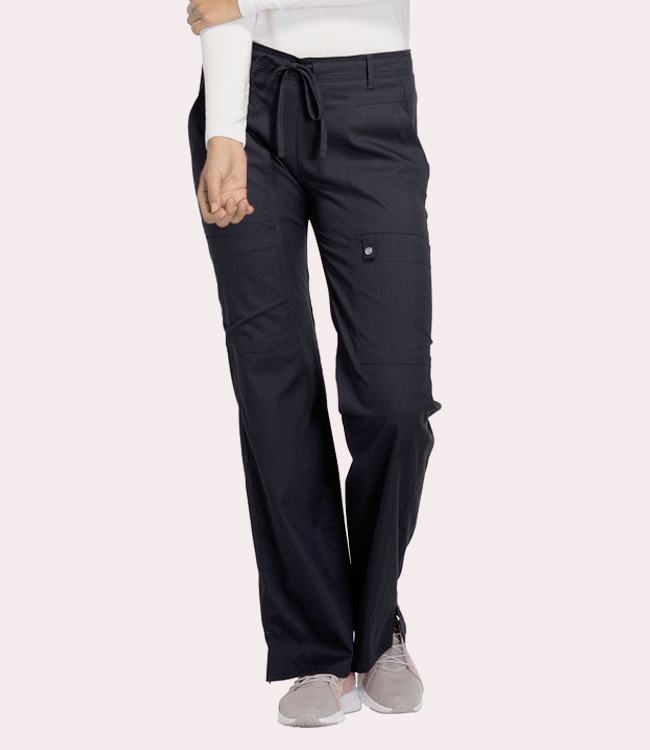 A Junior Fit low-rise, flare leg, adjustable front drawstring pant with back elastic waist, has a novelty yoke at the hip, front angled pockets, cargo pockets on both legs. Additionally, the left pocket has a instrument loop with a functional logo snap. A side seam panel at the back leg, side vents, and double needle topstitching complete this innovative pant.